I hated war comic strips when I was a kid in the 1960s and early '70s. 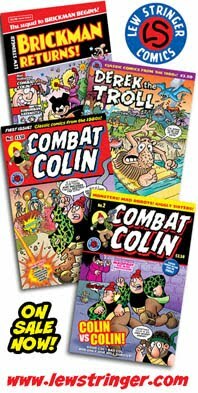 So much so that I'd skip strips such as Captain Hurricane in Valiant and Paddy Payne in Lion and would avoid comics such as Victor and Hornet as they seemed to feature so many stories of armed conflict. Commando? Not a chance. Why did I dislike them so much? Perhaps it was because unlike most people of my age, I didn't grow up hearing anecdotes about life in the military. In World War 2 my dad had failed his medical due to ill health, so he couldn't enlist, and my grandad was in the A.R.P. (During WW1 my grandad had worked on farms and the railway.) However, my family and their friends had often talked about the nightly horrors of the bombing raids. 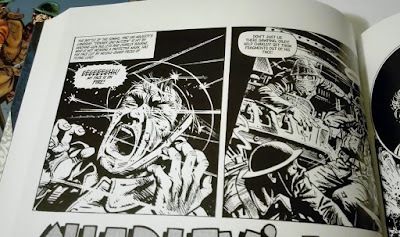 Therefore I knew that real war wasn't a jolly adventure as depicted in Captain Hurricane and I think I resented war comics for not being more honest. Perhaps it was also because my parents let me watch the evening news and I often read the Daily Mirror where it was clearly evident that war (then raging in Viet Nam) was a grim affair. Admittedly I was well into sci-fi comics and superheroes, so perhaps war strips were too grounded for me, but it wasn't just that. It was the gung-ho attitude that really put me off. When Battle Picture Weekly came along in 1975 I was 16, so I was "growing out of kids' comics" as I considered them. I had the first issue because it was a first issue, read it quickly, stored it away in my collection, then didn't bother again. 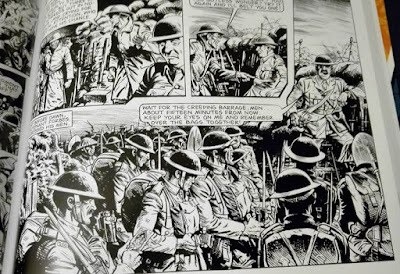 What changed things was years later noticing Charley's War on the cover on the latest issue whilst browsing the comic racks in a newsagents. The issue dated 12th July 1980 (shown below). I recognised the artist as being that of the guy who'd drawn Football Family Robinson for Jag and Kid Chameleon for Cor!! so I bought the comic out of curiosity. 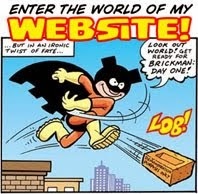 My perceptions of war comics changed immediately. 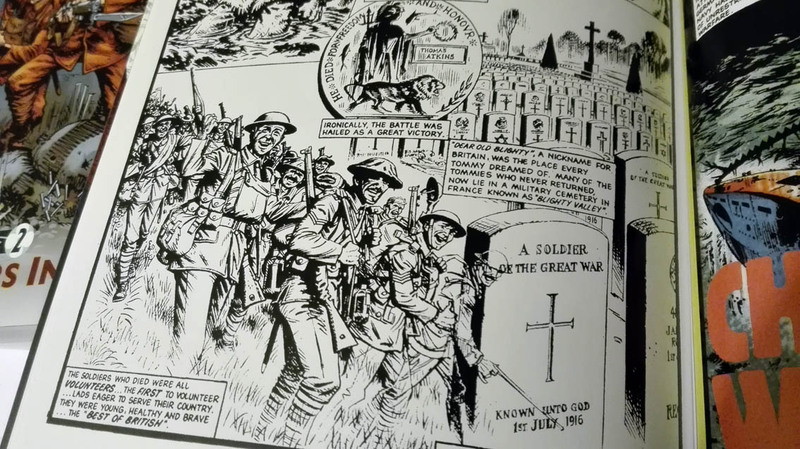 Charley's War didn't glorify war as so many of its predecessors had. Here was an anti-war strip, right in the heart of a boys' war comic! It felt radical, it felt real, and I was hooked! 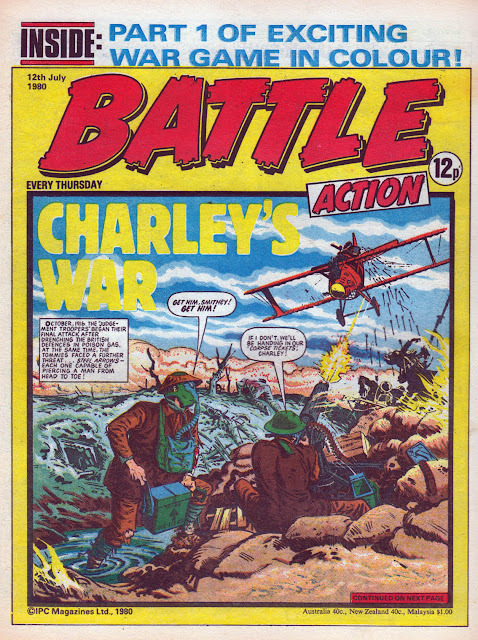 The other strips had some merit too, but the only reason I started buying Battle was for Charley's War, which I'd cut out and save. 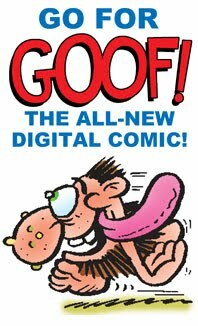 The writer was Pat Mills, and the artist was Joe Colquhoun. I know now of course that I'd done the early issues of Battle Picture Weekly a disservice by ignoring them. 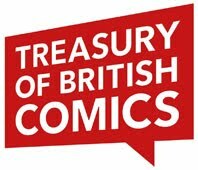 The comic was superb, part of an important new direction for UK comics, and didn't pull its punches. I've since collected the first five years of the comic so I can enjoy the tightly-written and grittily illustrated stories at my leisure. 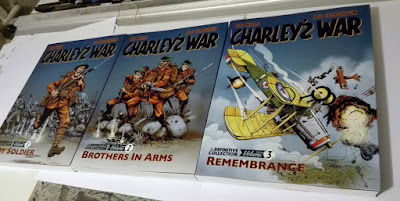 All that is a long preamble to give another promotion to Rebellion's superb Charley's War books, but, heck, it's my blog so I'll waffle if I want to. Plus, as we reach the 100th anniversary of the WW1 armistice I wanted to put my thoughts about war comics out there. 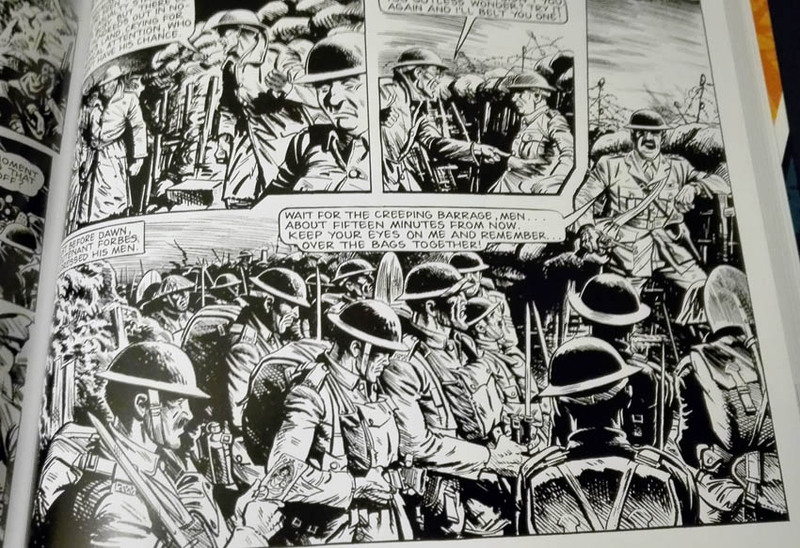 War has always appalled me, and I still dislike the unrealistic types of war comics, but Charley's War is the antithesis of that and an essential read! In Charley's War, we see the story from the perspective of a young lad, Charley Bourne, who enlists with the optimism to serve his country in the Great War. His naivety is soon shaken by the harshness of his environment, and the tragedies and hardships that he encounters. Unlike many war comics that had officers as the main hero, Charley Bourne is a tommy, a working class hero. Although the depictions of warfare are well researched and realistic, some artistic license had to be employed because one soldier could not possibly experience all that befalls Charley throughout the saga. In that respect, Charley Bourne represents the everyman. 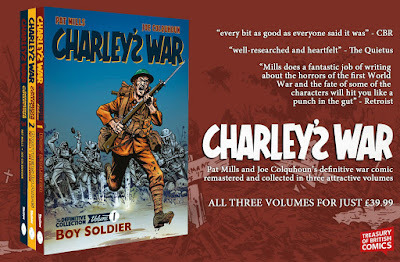 In other situations that would be too far removed for a soldier in the trenches the story shifts to depict the stories of Charley's brother Wilf, or the French deserter, Blue. 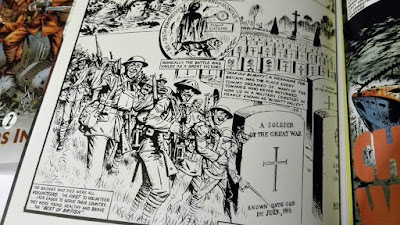 I consider Charley's War to be the greatest war story in comics. 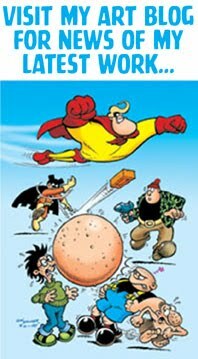 Perhaps the greatest adventure story in any British comic. 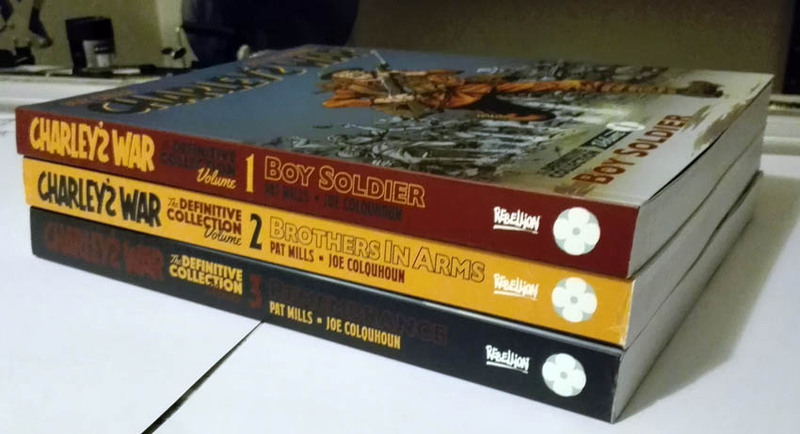 The three books published by Rebellion collect the entire saga which runs to almost 1,000 pages in total. To me, it's the best work of Pat and Joe's long careers. They clearly both felt very passionate about the subject matter and they succeeded in treating it with respect for ordinary soldiers caught up in the conflict, and a contempt for those that put them through it. The motto "Lest We Forget" is used in remembrance ceremonies but, sadly, politicians did forget, or didn't care, and there have been multiple conflicts since. Books like Charley's War are essential reading for all ages as a reminder that war is not to be taken lightly. All artwork in this post is Copyright © Rebellion Publishing Limited. It certainly was, and having the same creative team on it throughout helped in that regard. 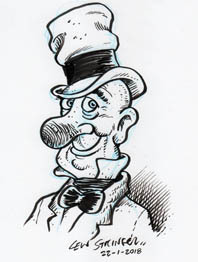 Lew - I am enjoying your Charley's War posts. I did read it here in Chicago land via our library system a few years ago. Most enjoyable. I agree that most war comics have been mostly heroes / adventures wrapped up in military clothes. I truly cannot think of a comparable war comic here in the USA besides Kubert's Sarajevo that is realistic? And I truly can think of no WW 1 series here, perhaps because our involvement in the war was minimal compared to the UK's. 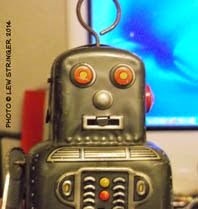 Hi Lew - just want you to know as an aside, I do read your post daily. It is thoroughly enjoyable and you do a great service for us on the periphery of this but who love it! 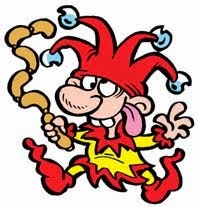 My real name is Joe Petro, not Charlie Horse 47, LOL.